UC Riverside is a member of the University Innovation Alliance, a consortium of 11 large public research universities united around the goal of increasing the number of students who stay in college and graduate within six years, across the entire socioeconomic spectrum. UC Riverside today joins 10 other major public research universities and six national foundations in announcing the University Innovation Alliance, which was founded to identify and share best-practices in degree attainment programs for low-income and minority students. 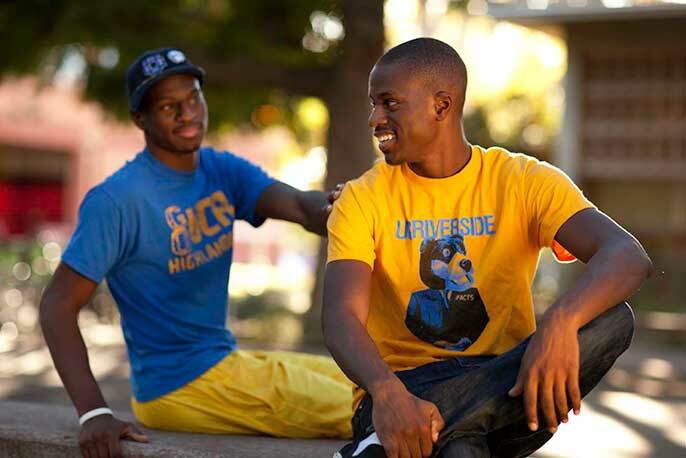 UC Riverside is the only California-based institution included in the mix. The University Innovation Alliance includes Arizona State University; Georgia State University; Iowa State University; Michigan State University; Oregon State University; Purdue University; The Ohio State University; University of California, Riverside; University of Central Florida; University of Kansas; and the University of Texas at Austin. Foundations supporting the initiative include Ford Foundation; The Bill and Melinda Gates Foundation; Lumina Foundation; Kresge Foundation; USA Funds; and Markle Foundation. One way to address the problem is through the nation’s public universities, which enroll 72 percent of all four-year college students in the U.S. “We must improve access and attainment for all students — regardless of college preparation levels, racial or socio-economic differences,” Wilcox said. At a recent speech at UC Riverside, Peter McPherson, president of the Association of Public and Land-grant Universities (APLU) noted that 80 percent of the children of the richest families in America earn college degrees, while only 10 percent of the children of the poorest families do. Last month, UC Riverside was, for the second year in a row, ranked by Washington Monthly magazine as second among national universities in its 10th annual College Ranking Survey.